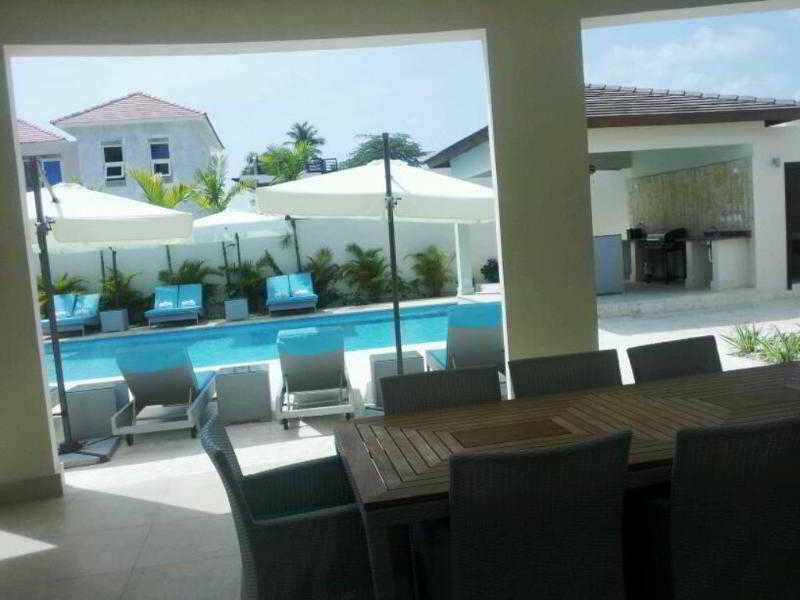 ﻿ Best Price on Villa Tesoro in Puerto Plata + Reviews! Located 1.2 mi from Costambar Beach, this 3-bedroom villa has a private pool and wonderful ocean views. Villa Tesoro offers free transfers to and from Puerto Plata Airport. Villa Tesoro features elegant Caribbean-style décor, air conditioning and free Wi-Fi. It has a spacious lounge with a flat-screen TV, a dining area and a fully equipped kitchen. One of the bathrooms has a spa bath. The villa is surrounded by extensive gardens, which also include a separate bungalow with an additional bedroom and bathroom. Free private parking is available. Ocean World is just 1.2 mi from Villa Tesoro, while central Puerto Plata is 3.7 mi away. Puerto Plata International Airport is within a 30-minute drive.